Fowlers have a prominent corner office in the bustling town square in Chagford. 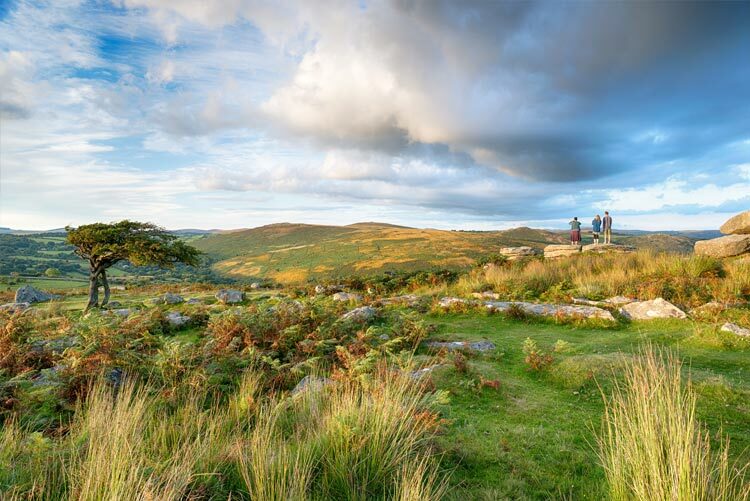 We cover Dartmoor and its surrounding villages and as a result are the leading agent for property in this unique area. Philip Fowler has 34 years of experience as an estate agent and has practised solely in this area for the last 26 years after running estate agencies further afield. With a wealth of local knowledge and having personally dealt with the sales of many of the local properties we are in a great position to help you achieve the best price for your home or investment properties. Priding ourselves on being a small independent family company we take the time to ensure we understand the requirements of our clients to make the whole process of buying and selling property as smooth and stress free as possible. With Philip and his wife having lived and worked in the area for the past 26 years and having had four children growing up here, they have strong ties to the local community and are a wealth of knowledge for information on local events and history of the area, and still maintain a strong connection to the local community, regularly supporting events in and around the area. If you pop in to the office you are sure to meet Jayne, who is often the first port of call when Philip is out on viewings, and she has been a member of the Fowlers team for 24+ years and will be able to help direct your enquiries. North East Dartmoor and Chagford enjoys a great community spirit with many village and town events, flea markets and craft fairs and there is even an annual music festival each July. There is a good arts scene with music, theatre and exhibitions all year round, and plenty of ways to get involved in the community. This area of the moor has two principal towns, just 4 miles apart- Chagford and Moretonhampstead, both of which have superb amenities and excellent access to moorland and river walks. Chagford has many unique events including the two hills race, which takes place every may, a must for anyone who enjoys sports and a bit of friendly competition. A moorland hill race with over 1000ft of climb, The race takes in the two prominent hills which overlook the town, Meldon and Nattadon, and is a wonderful family day out, which epitomises the feel of the town. Chagford also has a wonderful primary school, and pre-school, as well as an excellent Montessori. Moretonhampstead also has a primary and pre-school as well as the facilities you would expect from a small town; post office, coop supermarket, newsagents, as well as a butchers, grocers and numerous cafes and pubs. The town has an annual carnival, which is a weeklong celebration with much of the town getting involved in the festivities. There is also a music day which usually takes place in June, with music celebrated with local acts performing the pubs and cafes. There are many other picturesque villages in this area including Drewsteignton, Throwleigh, Gidleigh, South Zeal, South Tawton and North Bovey all of which Fowlers provide property services. Along with the great aray of villages up and down the Teign Valley for Dunsford past Bridford and Christow down to the Teign Village and beyond. The Major Cathedral City of Exeter is close at hand providing a great range of international shops, brands and eateries. We are always open for your property needs and look forward to welcoming you to the area and providing you with a quality bespoke property service.